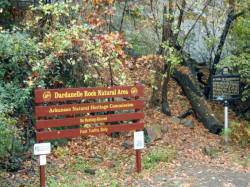 Dardanelle Rock has been a major landmark along the Arkansas River since the days of early Arkansas exploration. who was wounded in a fierce battle with the Choctaws and while recuperating, fell in love with a beautiful maiden named Leonietta. run away with him and become his bride. 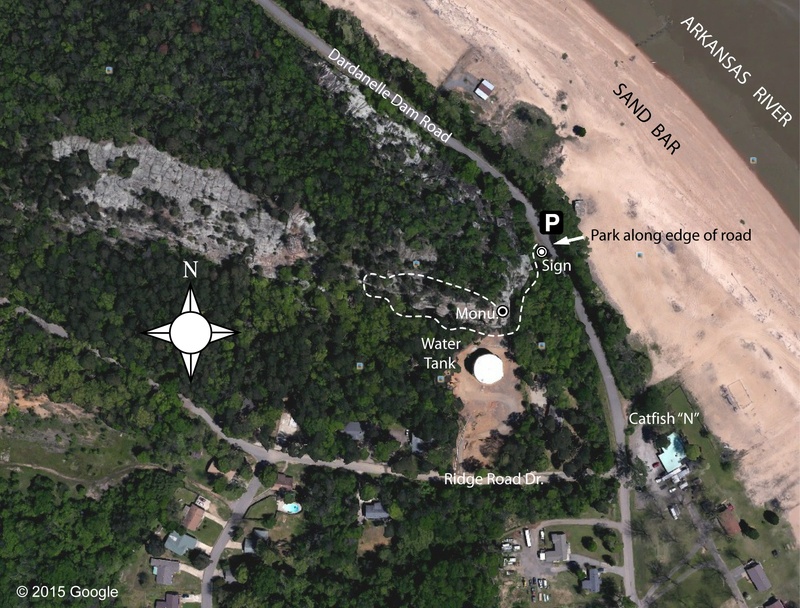 He waited on the rock for many hours, but for some reason she failed to make an appearance. He flung himself into the turbulent stream of the Arkansas River below. 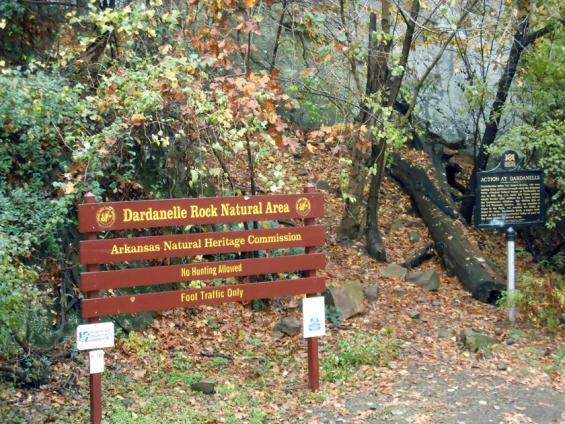 Thus Dardanelle Rock was named for him. NOTE: This is just a Legend.